Conversations is a monthly, 30-minute television show in which I participate in an ongoing conversation about the Archdiocese of Louisville, my involvement with the larger Church (both nationally and globally), and issues of faith in general. In the third segment from our February 2016 episode, I answer questions from viewers. Conversations is a monthly, 30-minute television show in which I participate in an ongoing conversation about the Archdiocese of Louisville, my involvement with the larger Church (both nationally and globally), and issues of faith in general. In the second segment from our February 2016 episode, I interview Sarah Cleary and Jenna Bailey from Holy Cross High School about the school’s Cougars for Christ program. 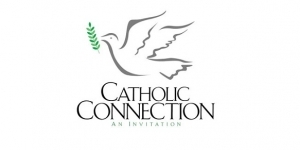 Conversations is a monthly, 30-minute television show in which I participate in an ongoing conversation about the Archdiocese of Louisville, my involvement with the larger Church (both nationally and globally), and issues of faith in general. In the first segment from our February 2016 episode, Chancellor Dr. Brian Reynolds and I talk about the beginning of Lent and the Sacrament of Reconciliation as an opportunity to enter more deeply into Lent and into the Year of Mercy. This is an Ash Wednesday reflection I wrote for Give Us This Day, which publishes a monthly booklet containing the prayers and readings for daily Mass, morning and evening prayer, and a reflection on the Scriptures each day. Celebrating and experiencing seem to go hand in hand. Take a birthday and a special party. We can experience that annual passage from one year to the next in our minds and hearts, but there is no substitute for a good old-fashioned party with cake, candles, friends and good cheer! Celebrations, if done right, can express and even enhance what we experience internally.